A full weekend open event and beach party. 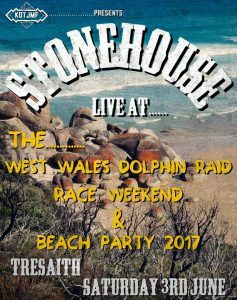 Racing includes a long distance race on Saturday from Tresaith to Cardigan Island, up to New Quay and back to Tresaith, and racing round the cans at Tresaith on Sunday. 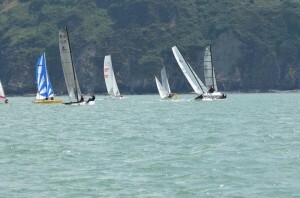 There will be two handicap fleets open to both catamarans and fast dinghies. The slowest handicap for the slow fleet is a PY of 1000 (2017 PY list) and will include Dart 16s. 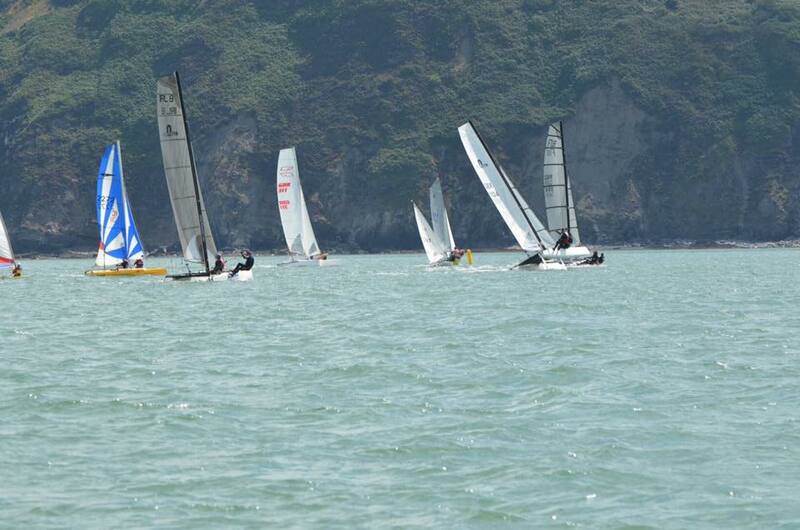 The fast fleet is likely to include fast cats such as Dart 18s, F18s, Hurricanes etc and equivalent dinghy handicaps. Prize categories will include: first dinghy, first catamaran, best youth, best mixed/female team. 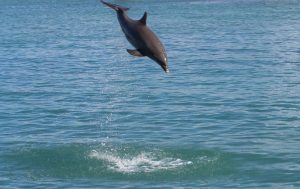 Special Prize: for the best action camera footage of dolphins taken during the event. Cardigan bay is famous for it’s dolphins and we have had pods of 7 or more dolphins racing alongside us previously, which is a fantastic sight! Thanks to Gail Tudor for the video. Online Booking: Booking links below – the entry price will include a food voucher for the Saturday evening and Bar tokens for prompt booking. Food will be available all weekend. Double handed entry: £45 including two food vouchers per boat. Entries booked by the end of April will receive two bar drinks tokens per crew member. Entries booked during May will receive one bar drinks token per crew member. Late entries from 1st June – sorry no bar tokens! Single handed entry: £35 including one food voucher per boat. Entries booked by the end of April will receive two bar drinks tokens per crew member. Entries booked during May will receive one bar drinks token per crew member. Late entries from 1st June – sorry no bar tokens! Safety: All boats will be required to carry designated safety equipment: this is likely to include flares, paddle, compass, tow line. VHF radios are encouraged but not compulsory. Full requirements to follow. If any clubs wish to bring an additional safety boat please let us know – food and bar tokens available! Maintain a steady speed and course or slow down gradually. Don’t chase, manoeuvre erratically, turn towards or attempt to feed or touch them. Take extra care to avoid dolphins with their young and don’t attempt to swim with them. In addition you must take all precautions to avoid dropping any litter onto the sea, particularly all plastic waste. Boats wilfully disregarding this may be disqualified. Entertainment: Bands for Saturday night dancing, and entertainment on the beach during the day both days. Plenty of local accommodation available including camping. 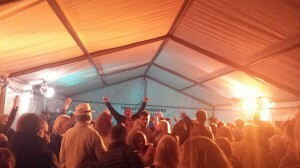 The “Stonehouse Collective” are really excited to be playing down with you on the Saturday night!!!!!! 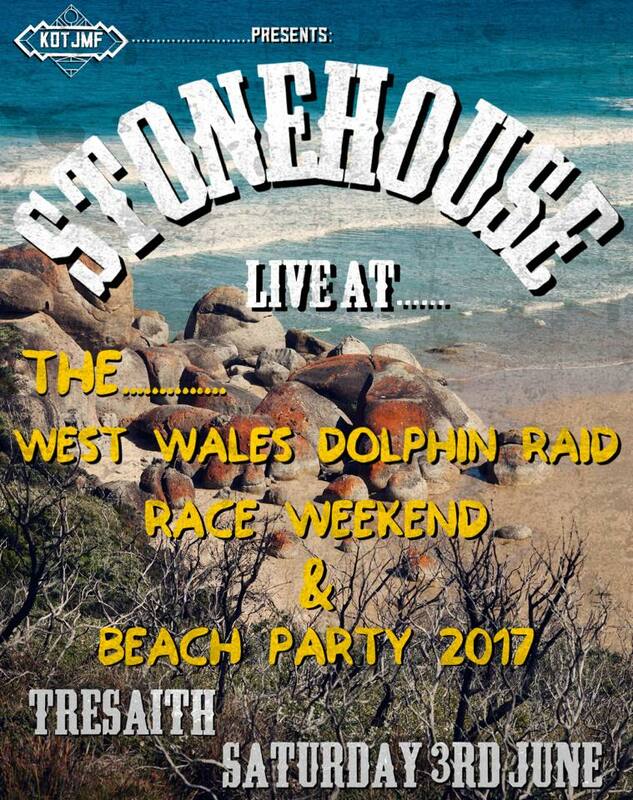 You can be guaranteed a night of rockin’, dancin’ mayhem on the beach!!!!!!!! Make sure you’ve got your dancing shoes on people!!!!!!!! ???????? ???????? ???? ???? ???? Everyone welcome! You don’t have to be a sailor or a member to come and join our party – free entry to marquee for the beer and band. During Sunday Aspirations Outdoor Adventure will be running their popular Archery Tag on the beach.